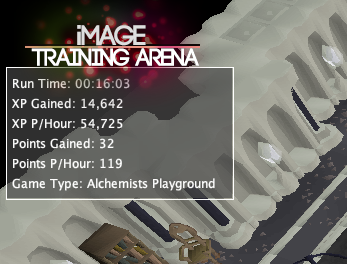 Powerbots only Mage Training Arena script. - Deposits the coins in random amounts. using information found in this video and current prices as of the dates below. As always any bugs let me know. Sick, definitely going to check this out! Sorry I wanted to include a screenshot of my system performance but how the hell do you post images? Can't post direct images would have to do it on gyazo or something similar, I've replied to your pm but I think the problem is solved just pushing the new update. Been running bones to bananas for almost an hour now and got 200 points! Thanks a lot for creating this! I was searching for this script and could not find it a week ago. Doesn't work properly in the telekinetic area; it just runs back and forth at times. Should work now, did some testing and made a tweak or two and worked fine for me. The enchanting section has quite a bit of issues. It tries to disenchant the white orbs and when it does it gets stuck and logs out. Also does not pick up dragonstones. The character just runs back and forth without picking up anything. It’s not trying to disenchant them, it’s trying to drop them but obviously still has the spell selected which I’ll look at. Regards to the dstones I’ll look into why it’s not picking them up but worked alright for me the other day but might be the specific corner I tested, I’ll check it out. No big deal. I just figured I'd let you know. Seen that it was new so figured I'd test it a little bit for you. Only onto the telekinetic section now and it runs pretty well. Every once in a while it will get stuck and i'll have to reset it but other than that it's good. I'll update you on the other ones as I go along. Just going and unlocking Bones to peaches using this script. I'll keep you updated! Good work so far! 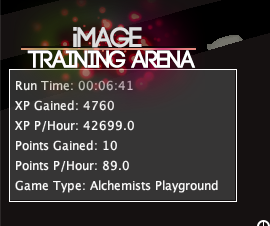 Also, the enchanting part is extremely laggy and does not want to do any actions. It may go and pick up some items but it just doesn't know what it's doing. Could be on my end but I've restarted multiple times and did everything I could. I'll update you again with the Graveyard when I get to it. Still great work though! I've dropped the priority of picking up dstones. I believe this has fixed the problem of it walking back and forth like a tard. Fixed it trying to drop the orbs while the spell is selected. Slowed down some background checks so hopefully not too laggy for you but it runs fine on my end so may be your pc. Having problems witch the alchemy room where it goes and opens the cabinets but gets stuck right after. It tries to select and cast the spell right away after finding an item but then never selects the item to cast it. It also takes strange amounts of items out, like 2 pairs of boots then idles a long time. It never actually casts alchemy even after being left alone a long time. I Don't know if this is helpful at all but here are some logs! I'm also having the same issues with the alchemy. The log looks fine, it even shows what it’s trying to alch, I’ll check it out but not sure what’s not happening as all looks good. EDIT: No problems with alching tested multiple times. I made a few tweaks however as it would occasionally stall, not sure why so added some failsafes to searching the cupboards but alching works fine.